Wire ropes are used on machines that lift and move heavy loads because they are strong, durable, and resistant to abrasion. They are commonly used in many industrial applications such as wire rope slings, derricks, cranes, hoists, and many more. In this course, you will learn about the basic construction of a wire rope as well as the different core types, strand materials, and rope finishes available for wire ropes. You will also learn the meaning of lay and about different lay types. 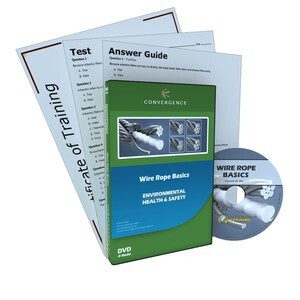 This course ends with a description of the different construction types, wire rope design compromises, and a wire rope’s maximum working load.